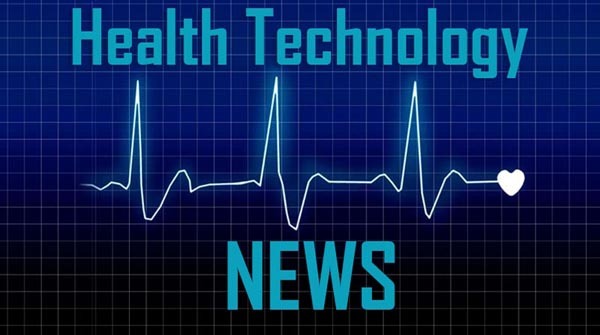 DURHAM, NC / ACCESSWIRE / March 28, 2018 / Heat Biologics, Inc. (NASDAQ: HTBX), a biopharmaceutical company developing therapies designed to activate a patient’s immune system against cancer, today reported financial and clinical updates for the fourth quarter and year ended December 31, 2018. Recognized $5.8 million of grant revenue for qualified expenditures under the CPRIT grant. Research and development expenses were $16.2 million for the year ended December 31, 2018 compared to $8.3 million for the year ended December 31, 2017. The increase was primarily due to the increase enrollment in the Phase 2 portion of our multi-arm NSCLC clinical trial as well as the PTX expense as we continue pre-clinical development of the PTX-35 program. General and administrative expenses were $7.0 million for the year ended December 31, 2018 compared to $6.4 million for the year ended December 31, 2017. Net loss attributable to Heat Biologics was $15.7 million, or ($0.90) per basic and diluted share for the year ended December 31, 2018 compared to a net loss of $11.8 million, or ($3.08) per basic and diluted share for the year ended December 31, 2017. As of December 31, 2018, the Company had approximately $28 million in cash, cash equivalents and short term investments. Heat Biologics is a biopharmaceutical company developing immunotherapies designed to activate a patient’s immune system against cancer using CD8+ “Killer” T-cells. Our T-Cell Activation Platform (TCAP) produces therapies designed to turn “cold” tumors “hot” and be administered in combination with checkpoint inhibitors and other immuno-modulators to increase their effectiveness. HS-110 is our first biologic product candidate in a series of proprietary immunotherapies designed to stimulate a patient’s own T-cells to attack cancer. Our ComPACT™ technology is a dual-acting immunotherapy designed to deliver T-cell activation and co-stimulation in a single product. We are currently enrolling patients in our Phase 2 clinical trial for advanced non-small cell lung cancer, in combination with Bristol-Myers Squibb’s nivolumab (Opdivo®) or Merck’s anti-PD1 checkpoint inhibitor pembrolizumab (KEYTRUDA®). Pelican Therapeutics, a subsidiary of Heat, is focused on the development of co-stimulatory monoclonal antibody and fusion protein-based therapies designed to activate the immune system. We also have numerous pre-clinical programs at various stages of development. For more information, please visit www.heatbio.com. This press release includes forward-looking statements within the meaning of the Private Securities Litigation Reform Act of 1995 on our current expectations and projections about future events. In some cases, forward-looking statements can be identified by terminology such as “may,” “should,” “potential,” “continue,” “expects,” “anticipates,” “intends,” “plans,” “believes,” “estimates,” and similar expressions. These statements are based upon current beliefs, expectations and assumptions and include statements regarding the completion of enrollment in the Phase 2 trial in Q2 2019, planned announcement of interim data in the fourth quarter of 2019, the belief that Heat is the first company to present clinical data in advanced NSCLC with patients whose prior checkpoint inhibitor treatment has failed , plans to file a Phase 1 Investigational New Drug (IND) for our next-generation therapy (HS-130) in the first half of 2019 , plans to submit the filing of an IND application for PTX-35 in the first half of 2019, the suggestion that the addition of HS-110 to nivolumab may restore responsiveness to treatment after tumor progression on prior checkpoint inhibitor therapy, being on track to receive of an additional $6.9 million in CPRIT grant funds for PTX-35 within the next few months and Heat’s capital being sufficient beyond completion of its Phase 2 HS-110 trial. These statements are based on management’s expectations and assumptions as of the date of this press release and are subject to a number of risks and uncertainties, many of which are difficult to predict that could cause actual results to differ materially from current expectations and assumptions from those set forth or implied by any forward-looking statements, including the ability of Heat’s therapies to perform as designed, to demonstrate safety and efficacy, as well as results that are consistent with prior results, the ability to enroll patients and complete the clinical trials on time and achieve desired results and benefits, Heat’s ability to obtain regulatory approvals for commercialization of product candidates or to comply with ongoing regulatory requirements, regulatory limitations relating to Heat’s ability to promote or commercialize its product candidates for specific indications, acceptance of its product candidates in the marketplace and the successful development, marketing or sale of products, Heat’s ability to maintain its license agreements, the continued maintenance and growth of its patent estate, its ability to establish and maintain collaborations, its ability to obtain or maintain the capital or grants necessary to fund its research and development activities, and its ability to retain its key scientists or management personnel, its ability to successfully integrate Pelican, and the other factors described in Heat’s most recent annual report on Form 10-K and other filings with the SEC. The information in this release is provided only as of the date of this release and the company undertakes no obligation to update any forward-looking statements contained in this release based on new information, future events, or otherwise, except as required by law. loss attributable to Heat Biologics, Inc.
loss per share attributable to Heat Biologics, Inc.